Offer a variety of services in the community as well as in the district health offices. Immunizations for both children and adults are offered at each site. The district sites also offer walk-in services or Nurse of the Day services that include Tuberculosis services (testing and medications); blood pressure screening and general health counseling and referrals. 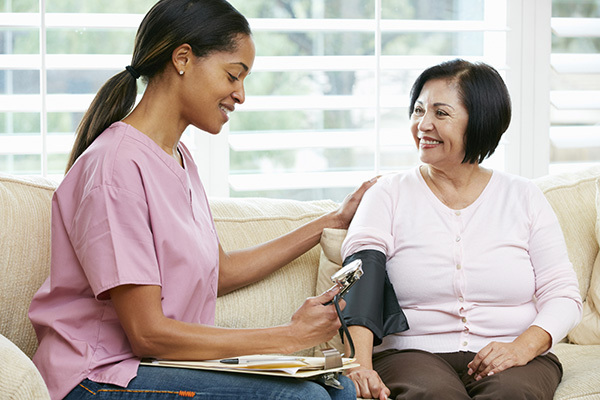 Home visits are made to provide health assessments of needs, education to promote a healthy lifestyle and assistance with referrals to community resources. Requests for services can be made by anyone in the community that might have a concern regarding the well-being of friend or family. An example of a home visit might be for prenatal care coordination to assist with the pregnant woman receiving necessary medical care and resources in the community. A healthy pregnancy and a healthy mom and baby are the goals. Education and follow-up is also provided to help in the prevention of the spread of communicable diseases.